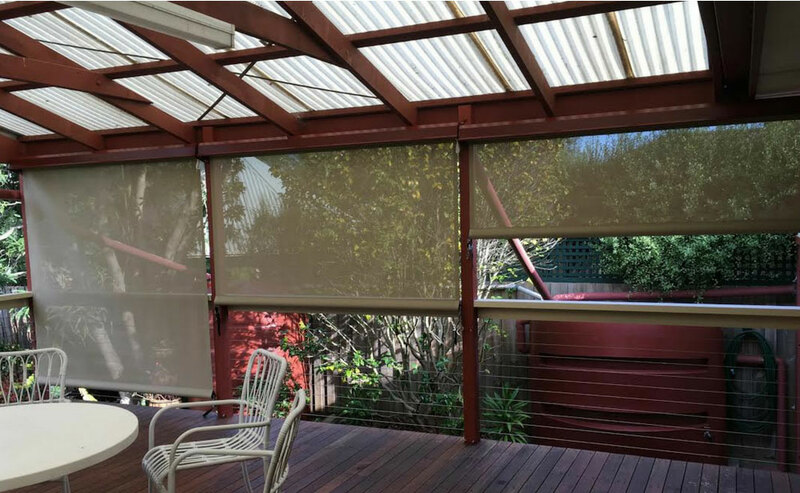 A1 Crank operated blinds offer protection from the harsh Australian sun. Sunblinds cool your home, protecting carpets and furniture from fading whilst adding value to your property. We have over 200 colours to choose from. 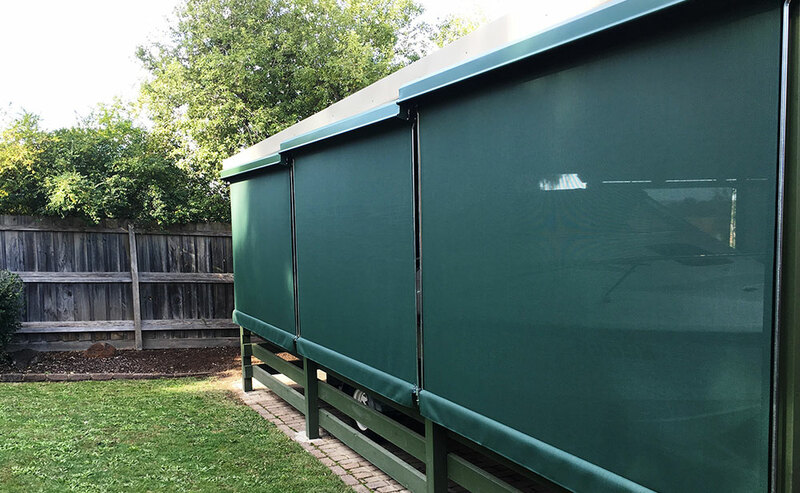 Ask about our exclusive range of Brella or Defab awning fabrics made and designed in Melbourne to suit the local market. Crank with Guide – This operation uses a crank handle to wind the blind up/down and is supported buy 12mm zinc coated guide rods wich are attached at the base using “L” brackets. 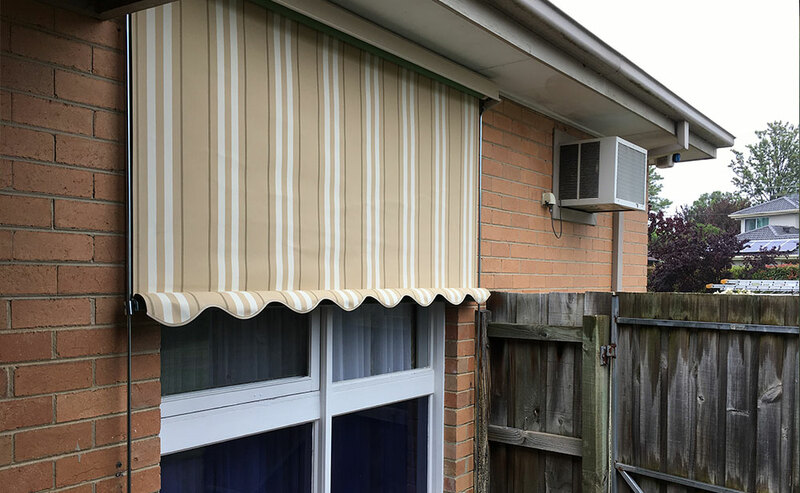 Crank without Guides – This operation using a crank handle to wind the blind up/down is fastened at the base using straps and dog clips. Wire guides – This operation replaces the 12mm zinc coated guides with a 3.0mm Stainless steel (316) cable that almost disappears. Like all Sunblinds there are several options to choose from. We offer Canvas, Arylic, Nylon and Pvc. Speak with our sales rep who will guide you through the best option for your situation and application. 52/48 Cotton/Polyester in both plains and stripes. Woven fabric that allows some light through. Nylon. This open weave blocks up to 90% sun and still allows a view. .75mm thick stabalised Pvc in either tited or clear finishes.